Allowing your attic to breathe is an important aspect of maintaining a healthy, energy efficient home. Without proper ventilation, radiant heat and moisture work together to cause a variety of problems, resulting in higher energy bills, mold outbreaks, and the deterioration of your home over time. 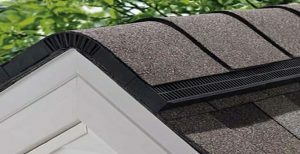 Attic Breeze solar attic fans provide an effective solution to proper attic ventilation by continuously removing heat and moisture buildup throughout the day, resulting in a more comfortable home which requires less energy to cool. Attic Breeze is the ONLY solar attic fan with a LIFETIME WARRANTY and they also qualify for Federal Tax Credits of 30% for both Residential and Business through 12/31/2016. With models available for virtually every application, Attic Breeze has your solar powered ventilation solution. Click here to learn more or contact us today!